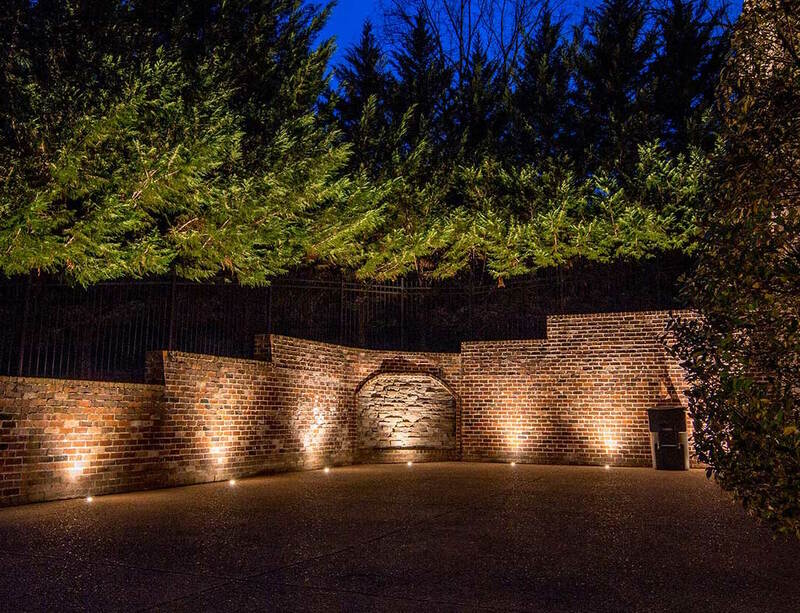 While outdoor lighting can certainly be enjoyed for its aesthetics, sometimes a more practical reason prompts someone to reach out - lighting for security. Most people don't know where to start; it can be daunting to try to design the best layout for your home and property. Luckily we've come up with guidelines to help you out. 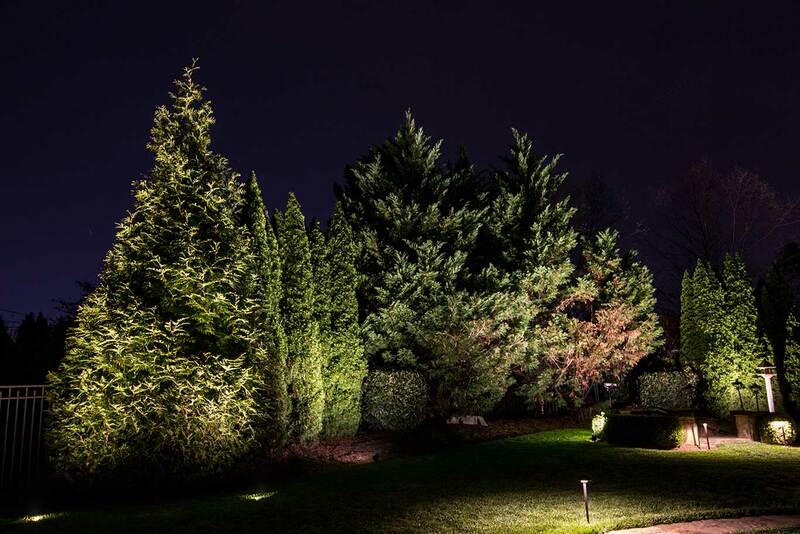 If you have a large home, you should consider lighting the perimeter of your yard or property, especially if there are lots of trees or a wooded area where someone could potentially hide. Lighting around the perimeter makes it difficult for a potential intruder to get onto your property, and even more difficult for them to get near your home. 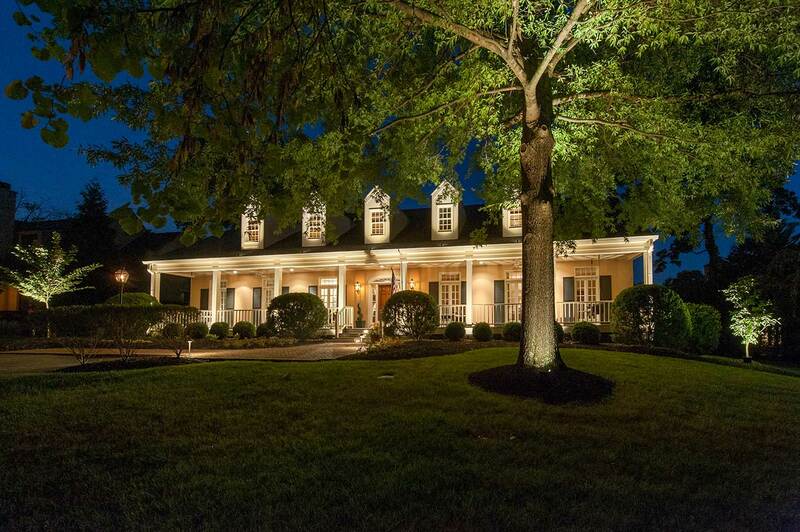 Long, tree lined driveways are beautiful and a Southern staple, but have you ever pulled into a driveway that was so dark you had difficulty navigating your way around it? Not adequately lighting your driveway not only makes it difficult for your guests to journey across your property, but it also makes it much easier for an intruder to hide. 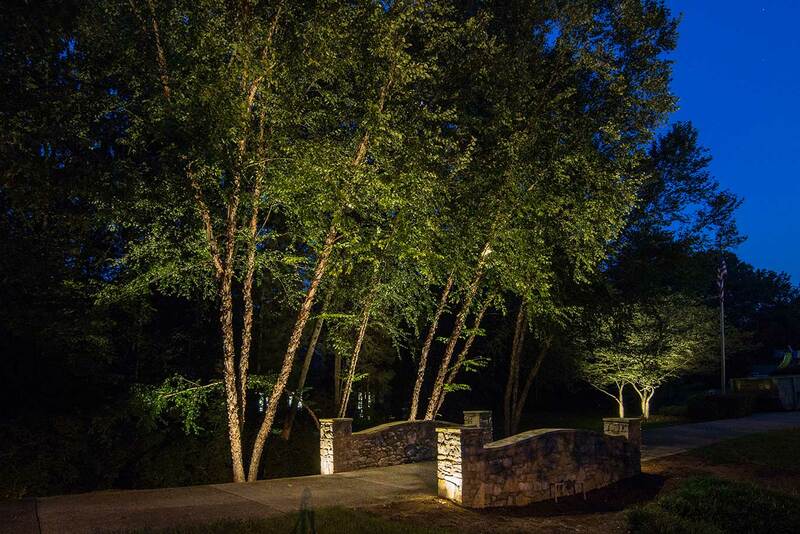 If you have large trees along your driveway, down lighting is a great option. It creates a unique, soft atmosphere with relatively minimal pre-planning required. 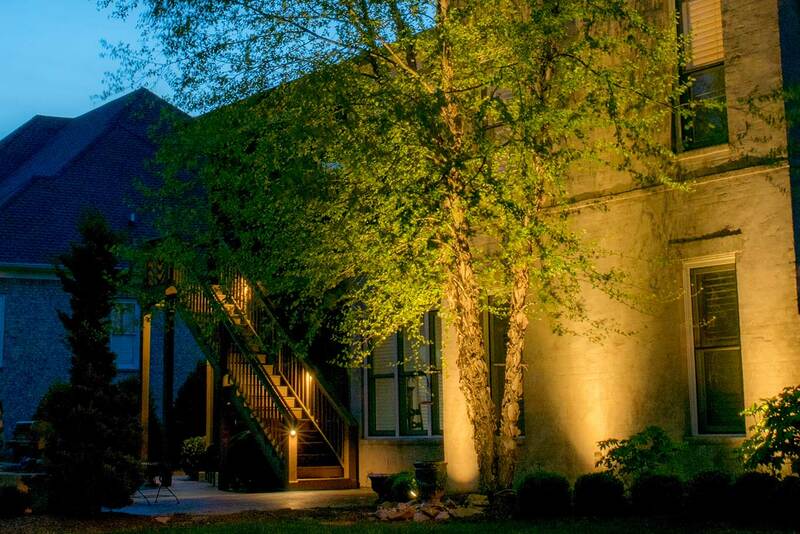 The light it gives serves as a guide to shed light on your property, deterring would-be intruders, but also simultaneously creates a warm, welcoming ambiance. If your front entrance is dark, up-lighting front columns or other architectural features will not only accent the beauty of your home, but will also add security. Being able to see doors and entryways prohibits potential threats and predators, and decreases the means necessary to commit a crime, discouraging would-be criminals from breaking into your home. It helps to identify weak security points before beginning a lighting design. When adequate lighting around a physical structure is deployed to reduce the risk of an intrusion, it is critical that the lighting be designed carefully. Once you've identified the vulnerable areas of your home, you can thoughtfully add light in the places it's needed most. 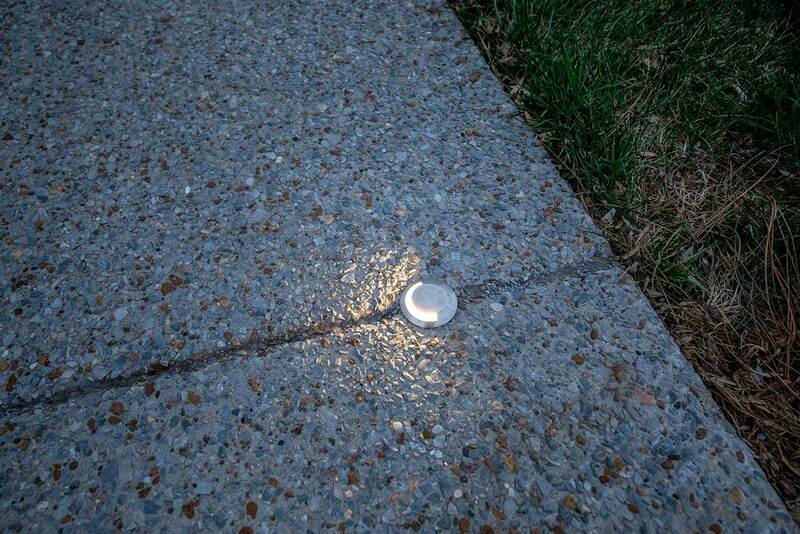 For dark paths and walkways around or between the house and garage, you can use path lights, down lights, or a combination of both to wash the area with light. Intruders prefer homes that are easy to access, but a home that is beautifully lit each night will deter anyone looking to trespass onto your property. 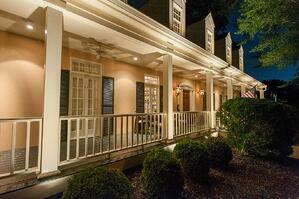 Let us show you how we can help you come up with a lighting design that is both beautiful and secure!